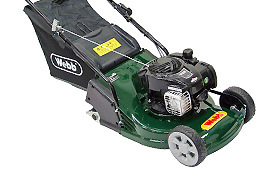 If you are on the hunt for a new mower, you should first check out this review of the Webb 17″(42cm) Supreme Petrol Lawnmower. 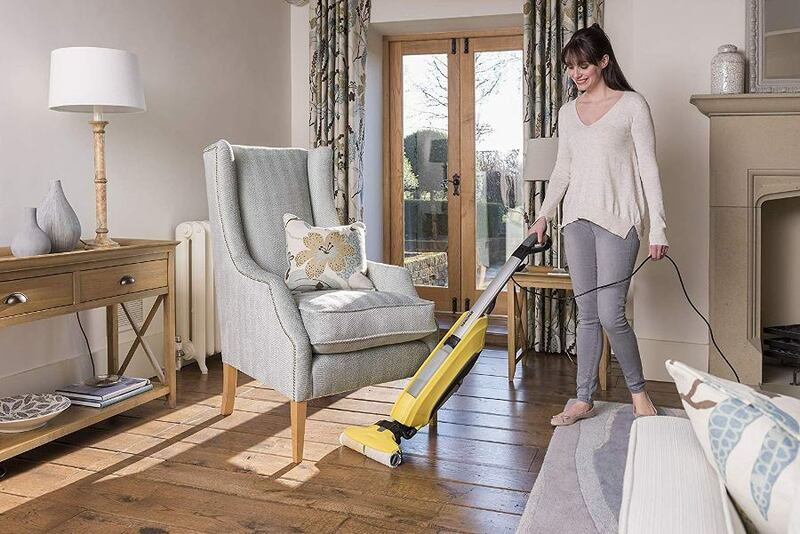 You see, Webb machines are designed to turn a chore into a pleasure. 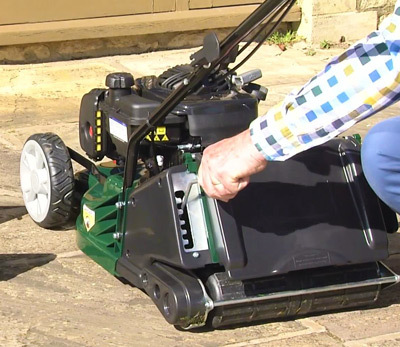 Years of garden machinery knowledge has been used to develop the “Supreme” line of mowers, which have the added benefit of using a powerful Briggs & Stratton 500 E Engine. 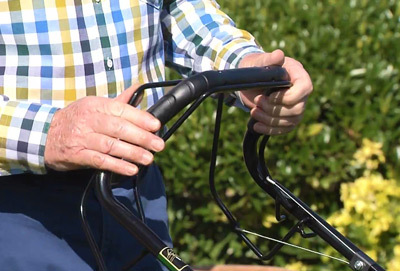 One useful feature in this lawnmower is its padded handlebar. 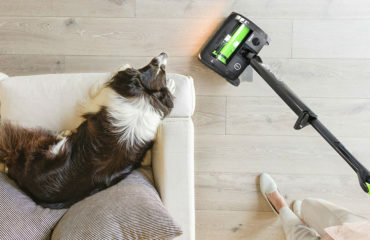 This makes it much more comfortable to grip and reduces vibrations. 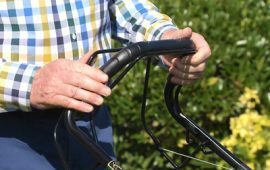 The handle uses a simple snapping mechanism that lets you fold it in half, which reduces the height of the mower and makes it easier to store. 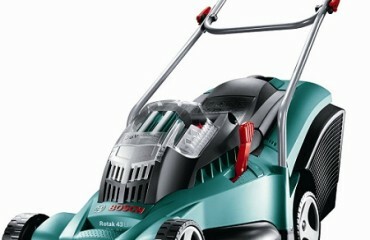 Forget the old wives’ tale that says the shorter you cut your grass, the less you’ll have to mow it. When you cut grass too short, it becomes more susceptible to heat damage and weed invasion. The rule of thumb is that you should never remove more than one-third of the total grass blade when you mow. 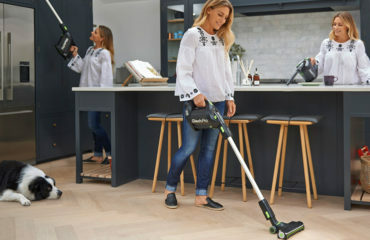 You should find out the particular type of grass you have in your garden and research the height you should cut it at. 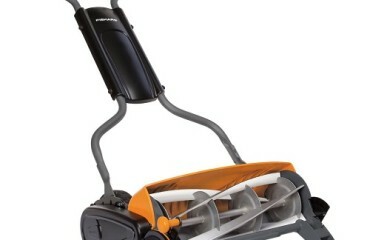 Fortunately, this lawnmower has six height setting you can choose from, starting at 23mm and going up to 77mm. 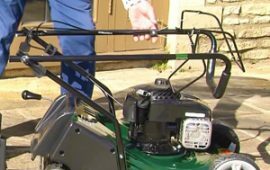 Adjusting the mower to any of these settings takes no effort thanks to the single lever mechanism. 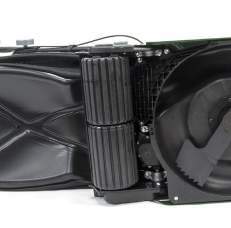 This lawnmower is powered by a 500e Series™ push mower engine, which has been designed to improve mowing experience with the best amount of power built into a lightweight package. Ever had one of those mowers where you pull and pull and can’t seem to be able to start it? Forget about that. The Briggs & Stratton engine is equipped with what they call a Prime ‘N Pull™ Easy starting system. One pull and you are ready to go. 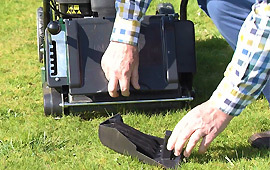 Cut and collect – A large 55-litre collection bag can help you gather all the grass clippings in one go. 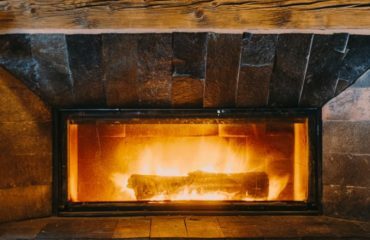 It is also perfect for collecting all the autumn leaves from your garden instead of having to rake them into a pile. Cut and release – Clippings will be deposited on the ground as the grass is cut so they can wilt back. Cut and mulch – This is a great feature. 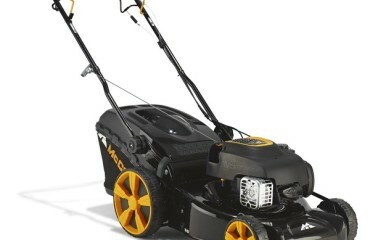 There is a mulching plug included with the lawnmower. 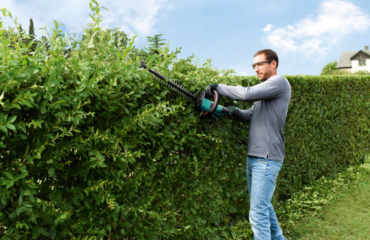 Once you fit it in, all the clippings will be cut again into tiny pieces before they are spread onto your lawn. This helps enrich the soil and prevents excessive evaporation and erosion. 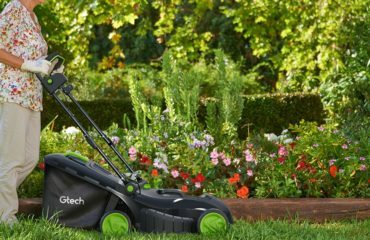 Grass clippings contain the same beneficial phosphorus, nitrogen, and potassium nutrients as high-quality fertilisers. 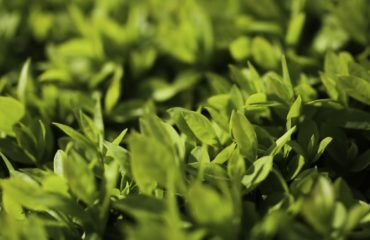 By spreading the clippings, you can provide as much as one-third of the annual feeding requirement for your lawn. Don’t you just love how grass stripes make a garden look? Well, you can get those stripes on your lawn thanks to the rear roller. Those lines you see are just an effect caused by how light is reflecting off the grass blades. As you mow, the roller will bend the grass. By mowing in opposite directions, you can get this effect. Blades bent towards you will look dark, while those bent the opposite way look lighter. And you aren’t limited to stripes. With a rear roller you can also obtain checkerboard and diamond patterns. 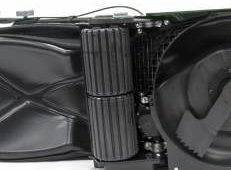 Rear rollers also have the advantage or letting you cut up to and over the lawn edge without scalping the grass. Traditional walk-behind lawn mowers are powered by sweat. 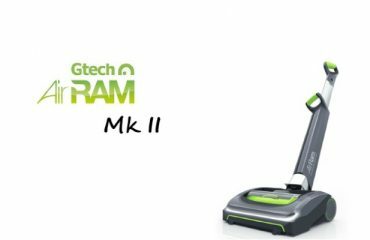 The self propelled mechanism of this mower will get the job done faster and with less effort. 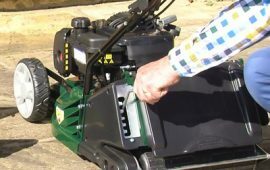 As soon as you engage the control lever, which is part of the handle, the mower will start to move forward. All you need to do is guide it around your garden. 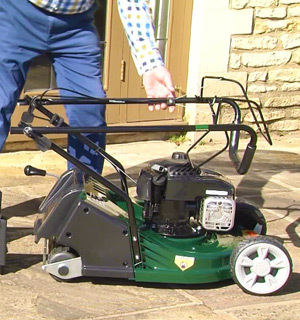 A set of ball bearing front wheels provide ease of movement whilst mowing.